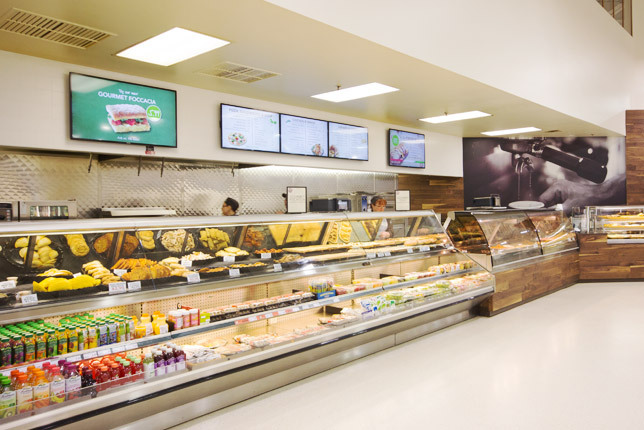 “A World of Food™” is the essence of what Coppa’s Fresh Market lives by. It represents the depth and variety available at our stores and our commitment that you will always find what you are looking for, including unique and exclusive food items from around the corner…and around the world! Enjoy the FRESHEST fruits and vegetables from around the corner and around the world! At Coppa’s, our produce is a sight to behold. We are famous for the quality, Variety, and FRESHNESS of our fruits and vegetables.. The quality of produce at our stores is simply second to none. We also feature local produce in season and are proud to support local Ontario farmers. Knowing that today’s families want to eat healthy, Organic produce is a mainstay for us. We are committed to having the deepest variety of fresh organics anywhere! 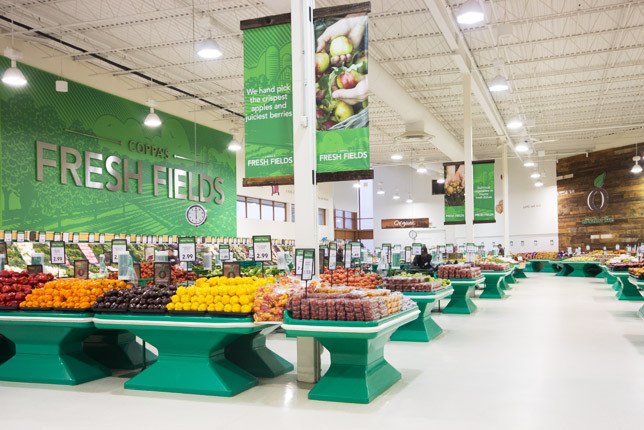 Devotion to quality and service is a daily mantra in every one of our stores produce departments. Our “BACKYARD FRESH ” program guarantees you’ll find the freshest and largest variety on fruits and vegetables. So come in and explore! 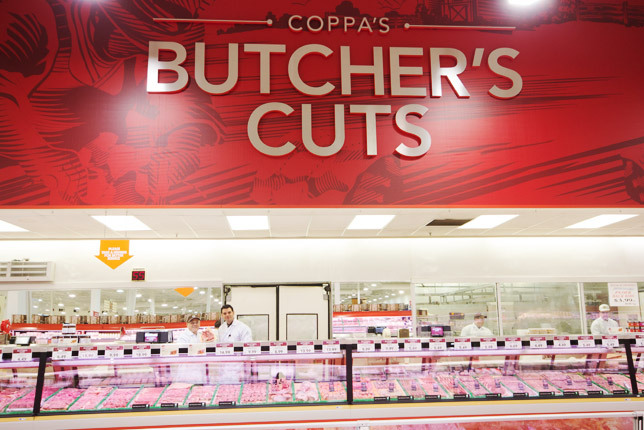 Come to Coppa’s and get to know your butcher! They are passionate about serving customers, so whether you're looking for a special cut, a special order or cooking tips, just ask. All our beef is 100 % Canadian and aged a minimum 21 days before trimming in order to achieve optimal flavor ensuring the most enjoyable eating experience. We carry a full range of beef cuts from perfect roasts, to barbeque-ready steaks and freshly ground beef. We also carry a large variety of store-made sausages, Grill ready kebobs and specially seasoned and marinated meats. Our commitment to ORGANICS is also showcased in our meat departments with the largest and freshest selection of Fresh Organic Beef, Chicken and Pork. Great food is at the heart of Coppa’s Fresh Market. Walk into our cheese department and you'll find hundreds and hundreds of the best cheeses from around the world and around the corner. From our exotic cheeses , to our signature hams, and our wide range of imported deli products, you’ll be sure you can taste the freshness and quality of each of our products. From exotic to mainstream, mild to zesty, smooth to firm, we have the variety for every taste and occasion. The natural beauty of fresh flowers and plants is a great gift that everyone enjoys. So for love, friendship, thank you’s, or just to brighten someone’s day, we carry floral bouquets of everyday favorites like; roses, lilies, orchids and hydrangea, and seasonal stars such as; tulips, peonies and sunflowers. Come and explore our fresh cut and potted flowers, great for any special occasion…or every day smiles! 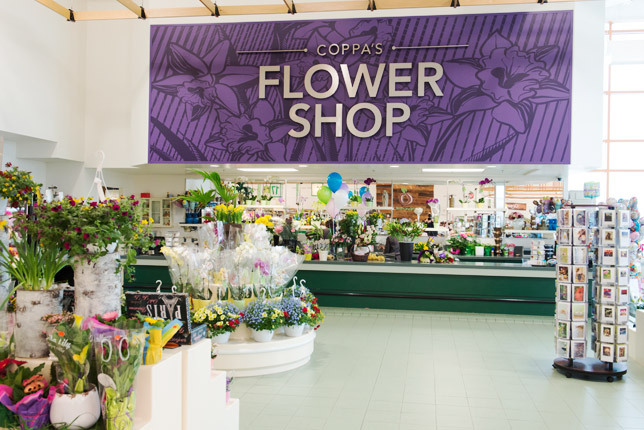 With a great selection and terrific prices, you can be sure that flowers from Coppa’s Fresh Market will brighten the day. 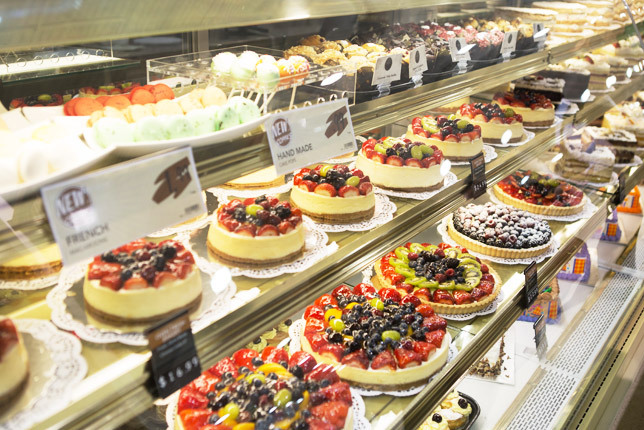 At Coppa’s Fresh Market, we know that fresh pastries, bread and desserts complete the perfect meal. That’s why we offer such an amazing variety of unique and delicious baked goods, freshly prepared every day. We bake daily, using only the freshest ingredients, to offer you the choices you want and need. 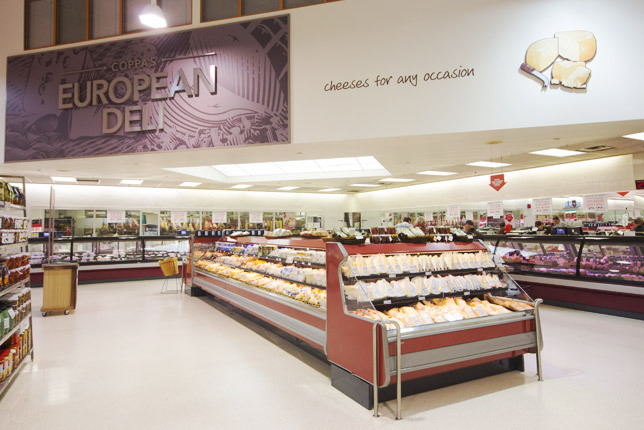 Our stores feature European style and artisan bread as well as traditional treats such as store made Cannoli, Tiramisu and fruit-filled Flan and Cheese Cakes. If you haven’t sat down to a meal in one of our stores lately, you’re in for a treat. At Coppa’s Fresh Market, our prepared food and cafe departments carry a wide variety of great home meal replacements and hot table foods that can be taken home or enjoyed right in our stores. Sit back and let us do the cooking for you and try any of our succulent tasting meals. Be sure to enjoy our Fresh Sushi Bar (made exclusively by Edo), our extensive Salad Bar, or sit back and enjoy a unique coffee experience in our European style Illy Café. When you’re in a hurry and looking for something delicious to eat or drink, come to Coppa’s! Our prepared baked goods, salads, and sandwiches are made fresh daily, and we have delicious hot meals for the entire family.